Rapper Rick Ross has been under fire this week for releasing a set of lyrics that nearly sounded like a kit for sexual assault. In the song, “U.O.E.N.O. 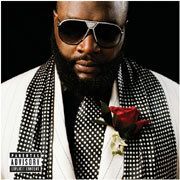 (You Ain’t Even Know It),” Ross has a lyric about him drugging a woman and getting her to his house for s*x. For some reason, Ross seems to think that his lyrics are harmless, which puts him in contradiction with millions of other people who actually think that sexual assault is a bad thing. “Put molly all in her champagne, she ain’t even know it / I took her home and I enjoyed that, she ain’t even know it,” Ross said. Online petitions have been filed against Ross, asking that the song be taken off the air and that he apologize. But during an interview on Q93.3 in New Orleans, Ross seemed to feel that he could make it all go away pretty easily. Ross also says that he doesn’t condone r@pe, in spite of the fact that his lyrical content seems to suggest otherwise.